The text was mostly forgotten for many centuries, and then in the 1930s, it went viral when in 1933 Alberto Tulli, director of the Vatican museums Egyptian section, found what he described as an interesting papyrus sitting in an antique shop. He didn’t have the money to purchase it, so he copied it, and then recopied it, replacing the hieratic script with some hieroglyphs. This is one of the main reasons skeptics challenge the authenticity of it. Today the Tulli Papyrus has become something of a legend among UFO folklore, with many believing that it is without a doubt proof that aliens do exist. The text is said to be the earliest record of UFOs to have been written down. 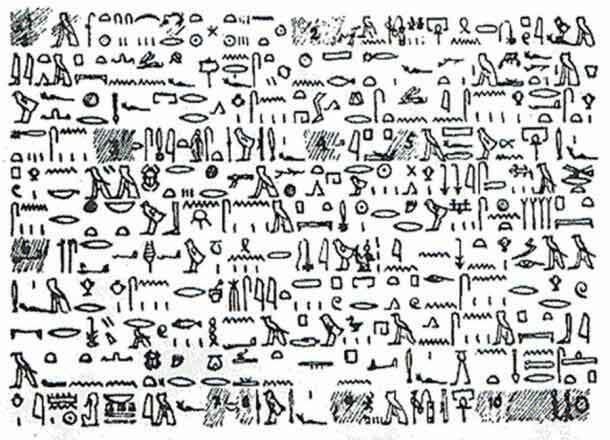 While the papyrus has been damaged severely, there are many gaps in it, Prince Boris de Rachewiltz translated the text and revealed that it was one part of the Annals of Thutmose III. However, nothing in that text referred to the actual Pharaoh by name, which is something that made the papyrus more suspicious. IS THE TULLI PAPYRUS A SOURCE THAT IS CREDIBLE? The translation of the text suggests that the sighting of the UFO took place in 1480 BC and that many people were witness to the sighting. 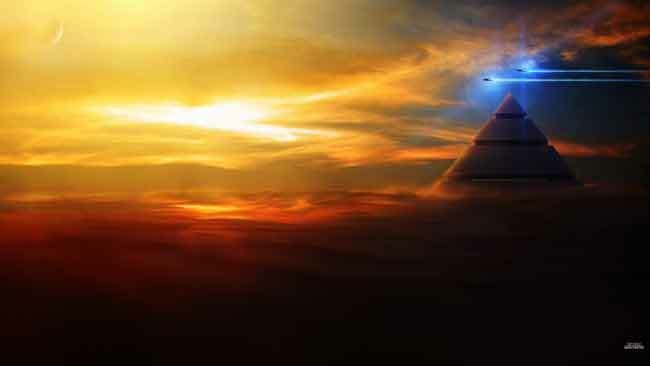 Of course it is entirely possible that ancient Egyptians might have had believed the fiery disks to be UFOs, but in fact, they may have been weather phenomena or astronomical phenomena. Some people were quick to point out that Egyptians were in fact advanced in astronomy, so this wouldn’t have been likely. It should also be taken into account that the Tulli Papyrus wasn’t the authentic original from the antique shop, but a copy, which had been translated. Also, no scientific examination was undertaken of the papyrus. The debate about whether or not it is proof of UFO sightings in ancient Egypt rages on, and while the truth may be out there, it may never be found. The following is a translation by Prince Boris de Rachewiltz of the Tulli Papyrus. In the year 22 third month of winter, sixth hour of the day the scribas of the House of Life found it was a circle of fire that was coming in the sky (Though) it had no head, the breadth of its mouth (had) a foul odour. Its body 1 rod long (about 150 feet) and 1 rod large, It had no voice… They hearts become confused through it; then they laid themselves on the bellies They went to the King ..?) to report it. His Majesty ordered has been examined as to all which is written in the papyrus-rolls of the House Of Life His Majesty was meditating upon what happened. Now, after some days had passed over these things, Lo! they were more numerous than anything. They were shining in the sky more than the sun to the limits of the four supports of heaven. Powerful was the position of the fire circles. The army of the king looked on and His Majesty was in the midst of it. It was after supper. Thereupon, they (i.e. the fire circles) went up higher directed to South. Fishes and volatiles fell down from the sky. (It was) a marvel never occurred since the foundation of this Land! Caused His Majesty to be brought incense to pacify the hearth, what happened in the book of the House of Life to be remembered for the Eternity.